Elifer Santos is both a friend and a client who approached me looking for a way to showcase his work effectively as an independent filmmaker and artist. I worked with him to develop a clean visual style for his website with a focus on content following our exploration of his logo and identity (the identity development process can be viewed on my blog). The site was built as a custom WordPress theme, and allows Elifer to control the content internally. The site imports work from his YouTube and Flickr accounts to reduce bandwidth usage and to prevent Eli from having to upload projects multiple times. 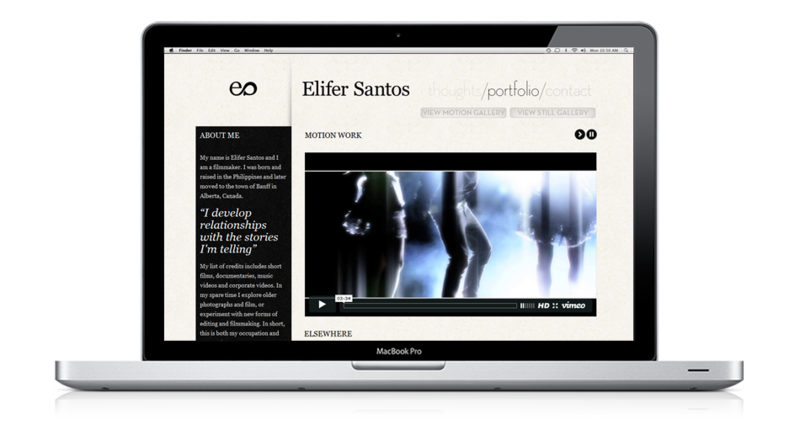 You can visit Elifer Santos’ website here.